Basically i'm doing great with your great tools but what I want is upon submission I want the output to generate a Satellite map at group level on the house. Now i understand that we can go to the submissions review and manually do it and then forward the submission via email but I'd like it to happen automatically. Also when I forward a submission the map images get messed up when I bring up the email help! Why is the system telling me I can't forward submissions because I've reached a limit...what limite? To automatically retrieve/display map in Email after receiving submissions is currently not possible with us, but we can offer you a workaround to get the map. 1. 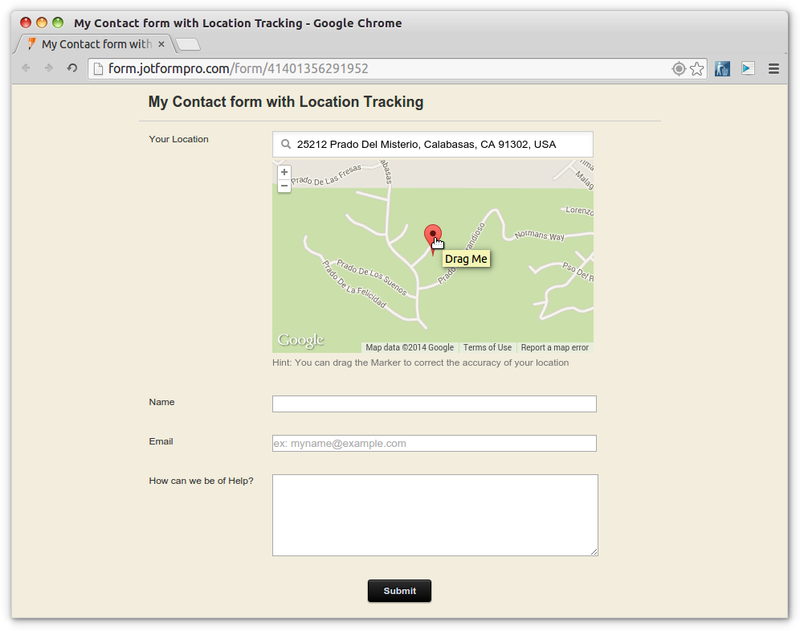 Instead of using the Address Field, retrieve your user/customers address/location by following the guide given on this thread: http://www.jotform.com/answers/229804-How-to-Add-a-Geo-Marker-Google-Maps-Marker-in-the-JotForm-Form. With regards to your second question, I suggest creating another thread so we can focus on each issue. Yes, the submissions display the map but there's no way you can do the same on your Email Notifications - that's it for now. The given workaround should work. 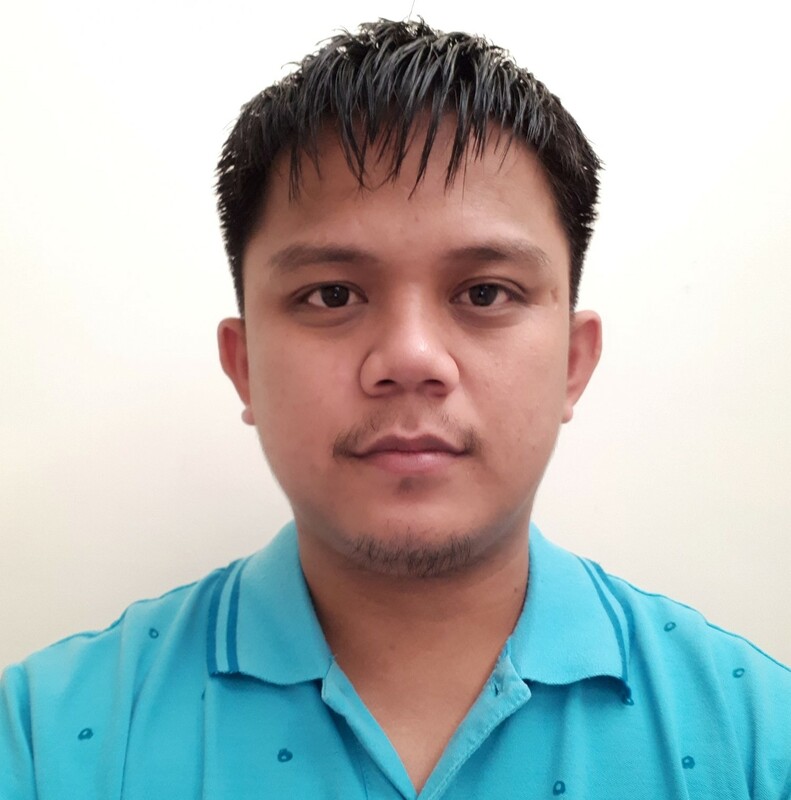 I've made some example here: https://shots.jotform.com/welvin/pages/GeoMap.html. Submit your entry using a valid Email Address so you will see how I configure the Email Notification to retrieve the map. Be sure to Tap your Location on Map. You should be able to retrieve the map when you click on the tooltip after searching the GeoLocation on Google Map. 2. After you will receive the notification, click on the GeoLocation Link. Unfortunately, this is the only process we have for now aside from the Maps in your Form Submissions Page. If you'd like this to be a feature, I suggest you to open a separate thread requesting such. ok but from the first map image how can they select their location if there is no search box.. There is no need for a search box. Once you have all the codes from the GeoLocation Guide provided, all your user's have to do is to "tap" the map to record and submit their location. If you want, I can do this to your form. Just please let us know your form URL. I'm thinking about going with jotform application and seeing if it could be integrated. Do you think it would be difficult to do? I think that if you follow the Google Maps Marker guide you'll make it. Of course, you need to embed the full source code of your Jotform. It does not currently have a map output, but we are considering it as a feaure - we would love to hear your thoughts on this. We've updated our GPS Location widget with a minimap feature that is searchable by any location criteria. Please try it out - let us know what you think. I like very much the GPS Location widget. But there is a problem for me. I would like that people could change map view to satellite. Is that possible? Your question will be answered here: http://www.jotform.com/answers/553498.